Each week we will tell you more about Russian meals, drinks, culture, traditions and people! 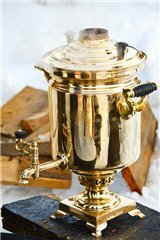 A samovar - is a heated metal container traditionally used to heat and boil water around Russia, as well as in other Central, South-Eastern, Eastern European countries, and in the Middle-East. Since the heated water is usually used for making tea, many samovars have an attachment on the tops of their lids to hold and heat a teapot filled with tea concentrate. Samovars come in different body shapes: urn- or crater-shaped, barrel, cylindrical, spherical. A typical samovar consists of a body, base and chimney, cover and steam vent, handles, faucet and key, crown and ring, chimney extension and cap, drip-bowl and teapots. 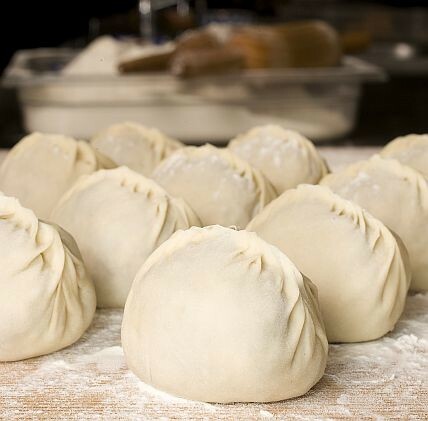 Pelmeni - are dumplings consisting of a filling wrapped in thin, unleavened dough that originated in Tatarstan and Siberia and is Russian national cuisine. 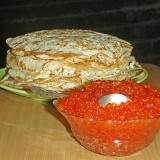 The filling can be minced meat (pork, lamb, beef, or any other kind of meat), fish, or mushrooms. The mixing together of different kinds of meat is also popular. The traditional Ural recipe requires a mixture of 45% beef, 35% mutton, and 20% pork. 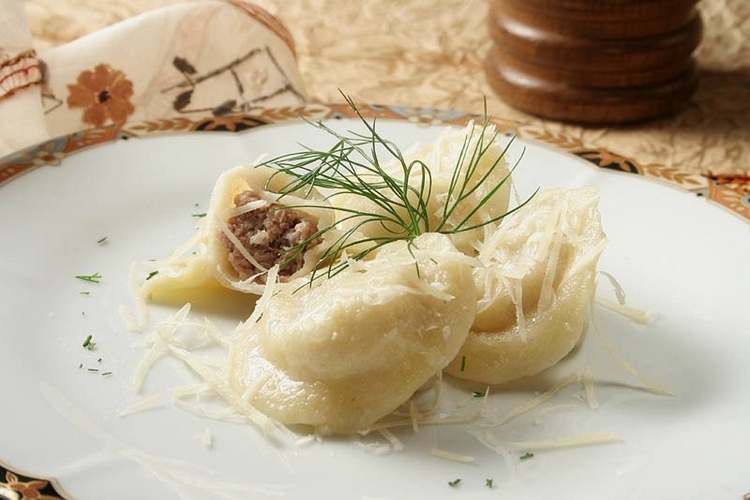 Pelmeni in Perm (west of the Ural Mountains) are often filled with mushrooms, onions, turnips, or sauerkraut instead of meat. Various spices, such as black pepper and onions, are mixed into the filling. 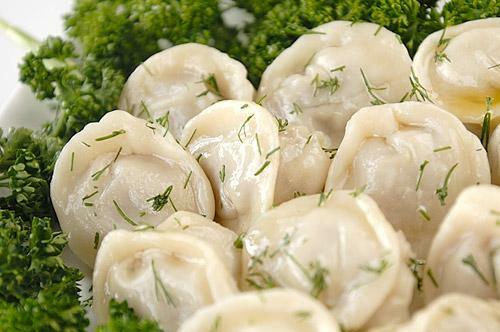 The word pelmeni is derived from pel'nyan' (пельнянь) – literally "ear bread" in the native Finno-Ugric Komi, Udmurt, and Mansi languages. It is unclear when pelmeni entered the cuisines of the indigenous Siberian people and when they first appeared in Russian cuisine. Pelmeni were particularly favored by hunters, who were looking for light, easy-to-prepare, nourishing food to take with them frozen on long hunting trips in the winter. 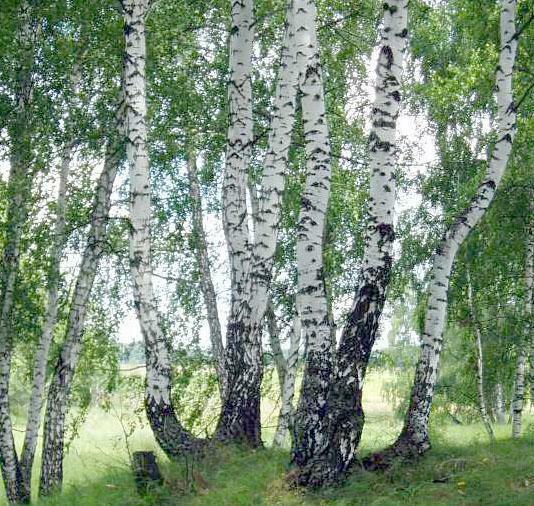 Birch - you can find this tree in many of Russian tales, paintings and epic stories of the past. 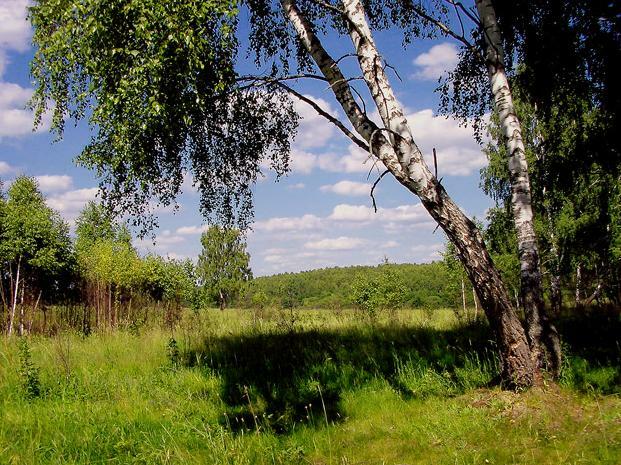 National tree which you may find almost in any region of Russia. Also that tree is famous for it's unique sap. 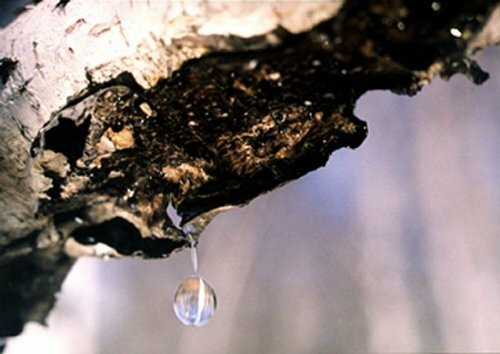 Birch sap must be collected during a specific time of the year, depending on the species and geography, at the break of winter and spring when the sap moves intensively, typically between the first thaws and the start of bud development. 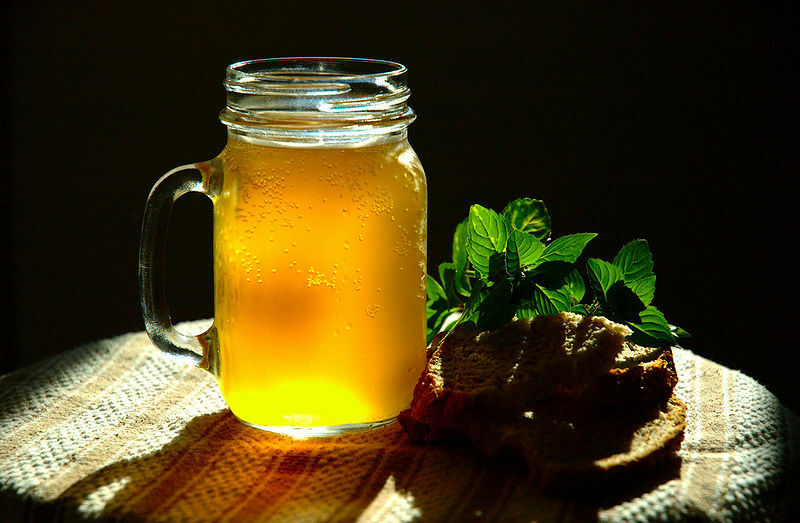 The collected sap can be drunk as a tonic and it is a traditional beverage in Russia. Banya - Russian public bath in Russian can refer to any kind of steam bath, but usually refers to the Russian type of sauna. In Bulgarian, banya (баня) usually refers to a bath and bathing. In Serbian, banja is used exclusively for a mineral water spa, as, for example, in spa resort names such as Vrnjačka Banja and Sokobanja. The earliest description of the banya comes from the Russian Primary Chronicle of 1113. According to the Chronicle, or as it was called by its authors, The Tale of Bygone Years, the Apostle Andrew visited the territories that were later to become Russia during his visit to the Greek colonies on the Black Sea. Kvass has been a common drink in Eastern Europe since ancient times, comparable with other ancient fermented grain beverages including beer brewed from barley by the ancient Egyptians, the pombe or millet beer of Africa, the so-called rice wines of Asia, the chicha made with corn or cassava by the natives of America. 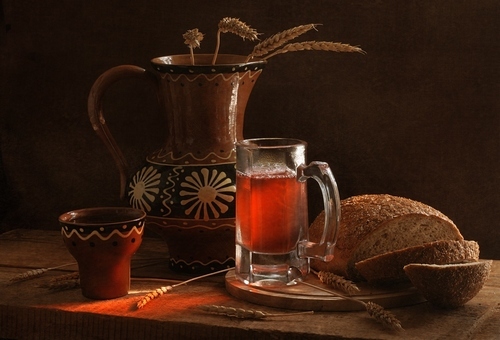 Kvass was first mentioned in Old Russian Chronicles in the year 989. In Russia, under Peter the Great, it was the most common non-alcoholic drink in every class of society. Later, in the 19th century, it was reported to be consumed in excess by peasants, low-class citizens, and monks; in fact, it is sometimes said that it was usual for them to drink more kvass than water. It has been both a commercial product and homemade. 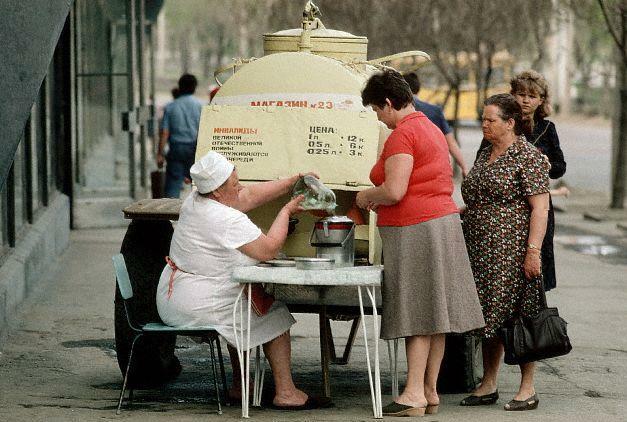 It used to be consumed widely in most Slavic countries, where in almost every city there are kvass vendors on the street. Today it forms the basis of a multimillion-dollar industry. Kvass was once sold during the summer only, but is now produced, packaged, and sold year-round. The town of Zvenigorod, west of Moscow, is known for its authentic, preservative-free kvass, which is brewed in the basement of the town's Orthodox monastery. 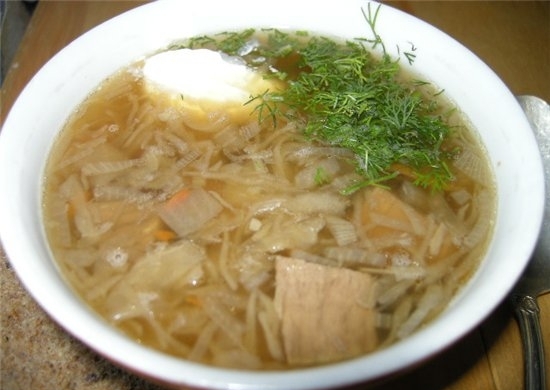 Cabbage soup - is a symbol of Russia, same as the black bread and a samovar. 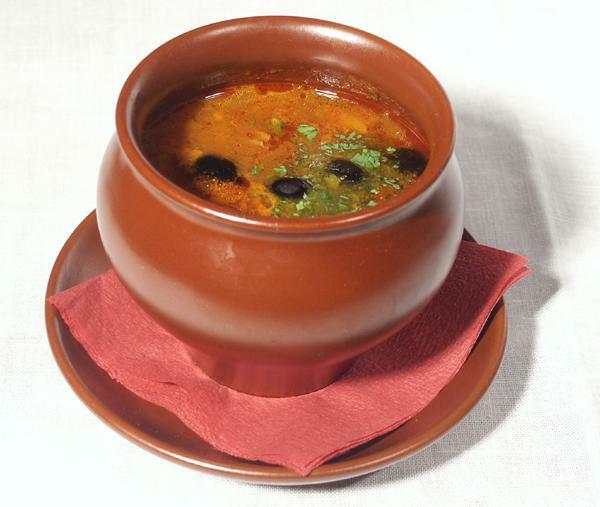 Soup - is the most famous hot dish on the Russian table, which has more than a millennium history. Of course, that soup can be different for people: one is more complete in composition and is called - “rich”. Other version - is “empty”, because only cabbage and onion are used to boil it. Paramount importance to create a special, unique flavor soup was the fact that they were prepared, and then insisted in the Russian stove. Soup is boiled all year round, it’s used to warm up in winter and used to cool in summer, it’s a snack for Russian vodka. Also, boiled cabbage soup stimulates appetite. 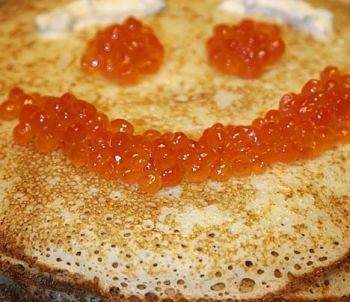 Pancakes with caviar are national Russian meal. A common Russian people don't see it often on their table, but tourists always order it in Russian restoraunts. 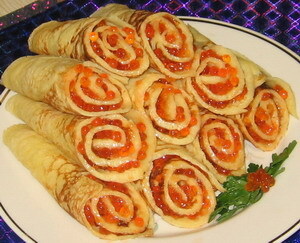 In past it was the special meal of Russian Monarchs, nowadays you can taste these delicious pancakes too!